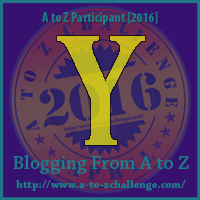 The A to Z Challenge, The A to Z Challenge. so when I hear that song Im going to think of the A to Z Challenge. Like your new chorus - ha. Im blogging from Fill the cracks and Moondustwriter's Blog. Happy last dayzzz of A to Zing!